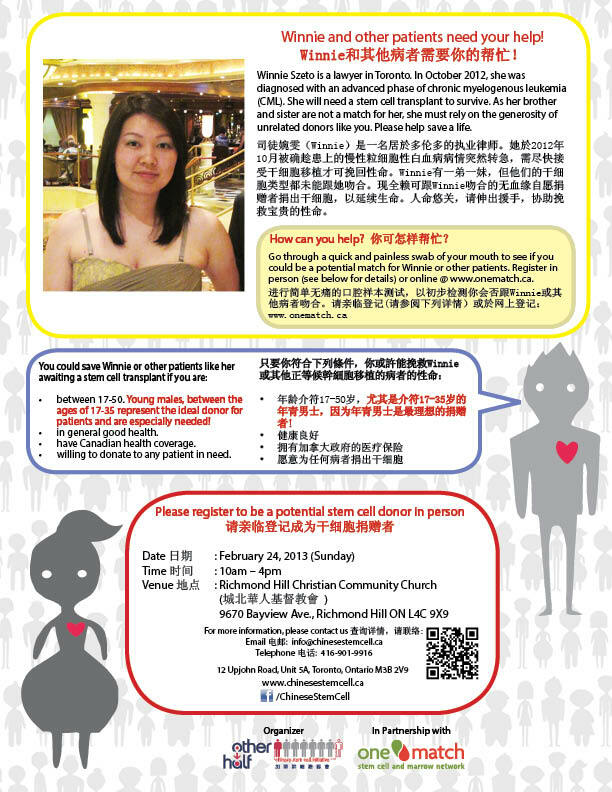 Please visit the Other Half’s website for future events in your area: http://www.chinesestemcell.ca/. Your kindness and generosity will help save lives! Please refer to the “How You Can Help” page for information on how you can help Winnie and other patients like her now.